Elfman is an 18 year-old mage. He is one of the physically stronger Fairy Tail mages, exhibiting the ability called "Take Over," which allows him to absorb the power of monsters he defeated into his right arm, earning him the nickname "Beast Arm Elfman." His member stamp is on his neck. His skill is among the top level in Fairy Tail; however, due to past events, he is no longer able to use Take Over to transform his entire body. It is revealed that in the past, an error occurred with his full-body transformation, leading him to lose control over his actions. Lisana, his younger sister and former member of Fairy Tail, sacrificed her life to break his concentration and help Elfman regain sanity. As a result, his most recent attempts at full-body Take Over induces a flashback of his sister, breaking his concentration and causing the spell to fade. This event has also caused Elfman's heart to lock shut. During the attack on Fairy Guild by Phantom Lord, Mirajane is taken hostage while pretending to be Lucy. 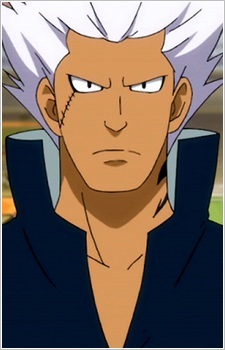 Elfman, determined to overcome this setback and keep his vow to "never see his sister's tears" helped him regain the ability of full-body Take Over, helping him defeat Sol, a member of the Elemental 4. It seems both he and his sister Mirajane were badly hurt in the past due to their younger sister, Lisana, dying. It's said that Elfman's heart is locked shut because of what happened to Lisana. It's been a while since we've had any new Fairy Tail video game releases and it's also quite difficult to get hands on them outside of Japan. If you're looking for your Fairy Tail fix then these are the games that you should look out for. Fairy Tail follows the story of Lucy Heartfilia who joins a wizard guild called Fairy Tail. Below are the 20 most tear-jerking moments from Fairy Tail. Be careful as this list may contain SPOILERS, and make sure that you get your tissues ready before scrolling down!